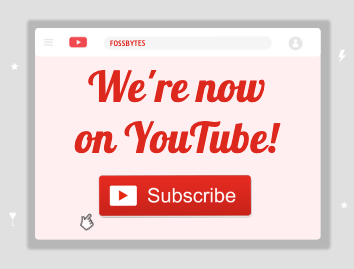 You can literally do anything with this device! 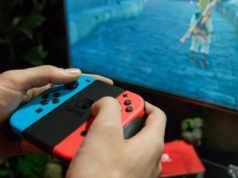 When we talk about handheld gaming consoles, the first thing that leaps to our mind is Nintendo Switch. But for once, let’s hit down the nostalgia road when GameBoy made our lives richer with Mega Man V, Donkey Kong, Pokemon Red and thousands of Retro games. Nowadays, emulators enable us to play all those games on our PC itself. But in spite of that, they miss one significant ingredient that only Gameboy could have given — the feel of it. 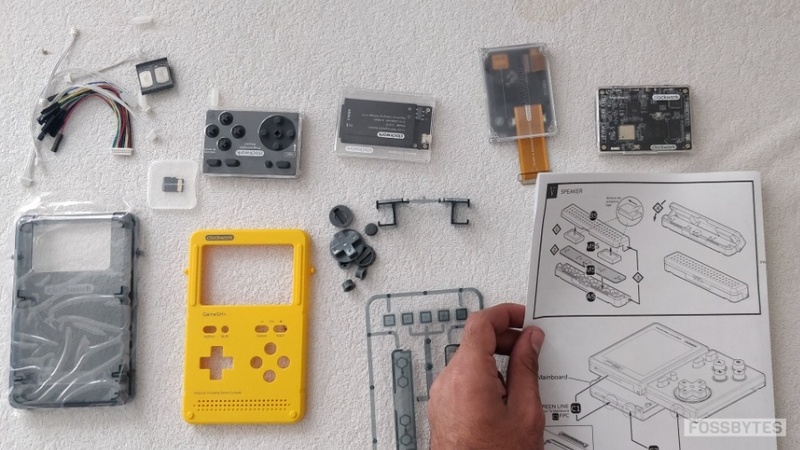 That is precisely where ClockworkPi GameShell comes in — a modular and portable game console that works like a Gameboy, but actually packs a generation of technology. One of the cool things about Gameshell is that the popular all-in-one emulator RetroArch comes pre-installed on the device. It means that you can play all the classic games from history’s greatest consoles: Atari, GB, GBA, NES, SNES and more. While it already packs a few prominent games such as CaveStory, Doom, etc., I have installed a few of my personal favorites like Adventure Island, Contra, Legends of Zelda and more. 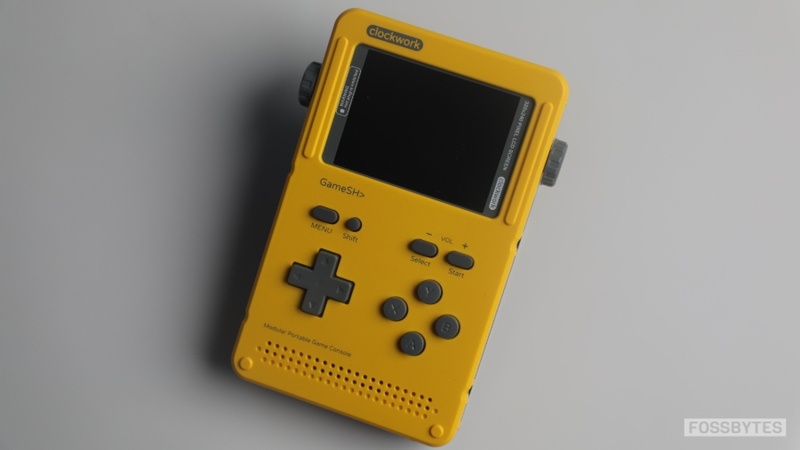 The front-side of GameShell looks exactly like the GameBoy Advance: A beautiful yellow-colored casing; little 2.7 inch LCD screen, sporting a 320 X 240 resolution; A D-pad; face buttons; little holes for the dual channel stereo speaker. 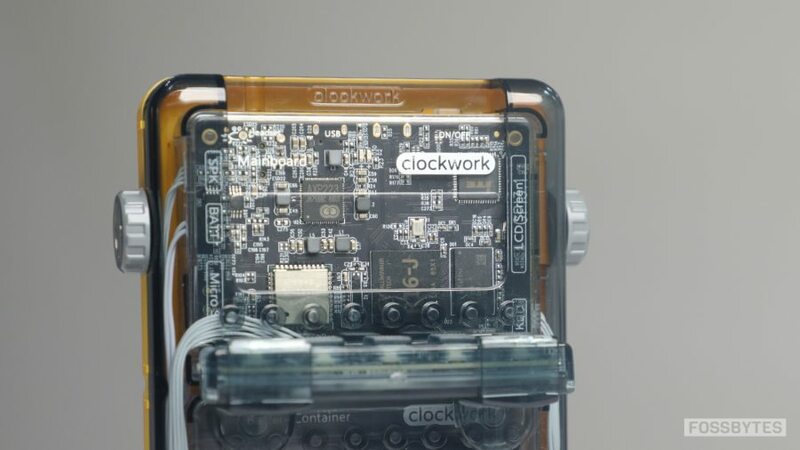 Rotate the device, and you get to see the aesthetically pleasing ClockworkPi board, situated inside a transparent shell. GameShell even provides stickers for the back shell. However, I personally liked it just the way it is. Talking about the GameShell casing, the device comes with an extra outer shell, just in case if you want to use the Light Key module: four-extra buttons on the back. Although, there are a few things that could have been better. For instance, the casing comprising all the hardware elements is a little delicate. My best guess is three-four drops would be enough to damage it. Another thing that was a bit letdown was the hard control buttons; because of less space between the rubber pad and plastic buttons, I had to put extra force which made gaming a little uncomfortable after a while. However, that’s just a tiny problem in GameShell. Besides, when one has a modular hackable device, anything can be hacked or even replaced. What do I mean by “hackable”? But the hackable part of GameShell is not just limited to software, but hardware as well. Actually, it’s the first thing I saw while opening up the packaging. The entire GameShell kit is enclosed into small four-to-five black-colored boxes. If you are ill-fated as am I and have no knowledge of assembling stuff like this, it will take around two-three hours to put in all the pieces together successfully. Nevertheless, assembling GameShell turned out quite exciting for me. I think that’s because of the well-structuring of the GameShell kit. For instance, how every module (motherboard, speaker, battery, etc.) for the console comes in different packets. And each one needs to be enclosed in small plastic shells — all in a tidy way. Following that, there’s systematically stacking each module on top of one another and circumscribing all of it in the GameShell casing. Even though it’s a little time-consuming, I really enjoyed setting it up. In one of the powering up screens, Gameshell wishes “Happy Hacking.” I didn’t exactly understand the actual meaning of the term in this circumstance until I saw the massive GameShell community, where I got familiar with the unlimited potential of the device. 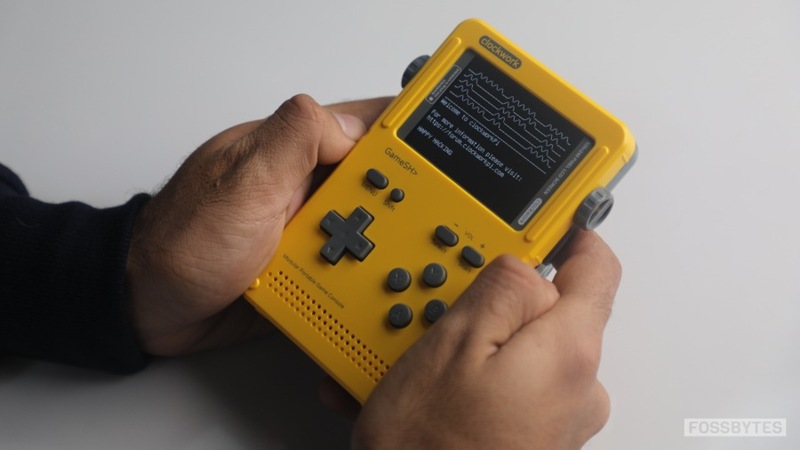 Because of the GameShell’s hackable design, users can freely modify the software or even install a new one like Debian ARM, Raspbian OS and more. 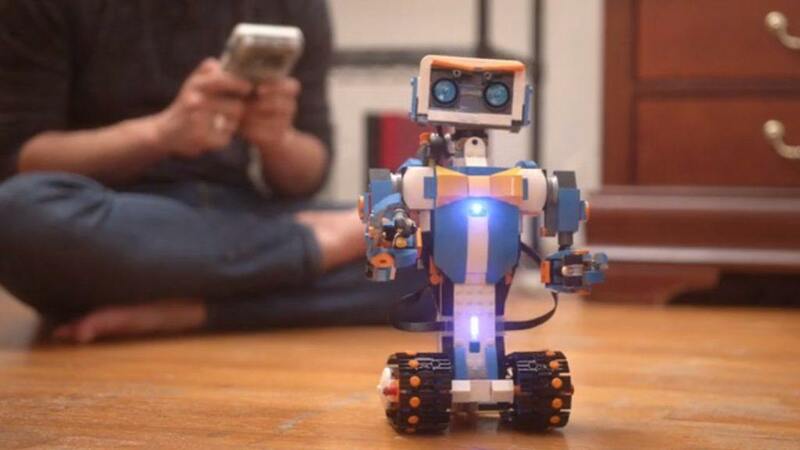 Even the internal modules can be used for a different purpose such as creating a DIY wireless speaker or programming a remote to control devices or even making smart toys — there is no limit to it. Backing up all the gaming and hacking is ClockworkPi Mainboard 3.1 which in itself is a powerful computing platform. 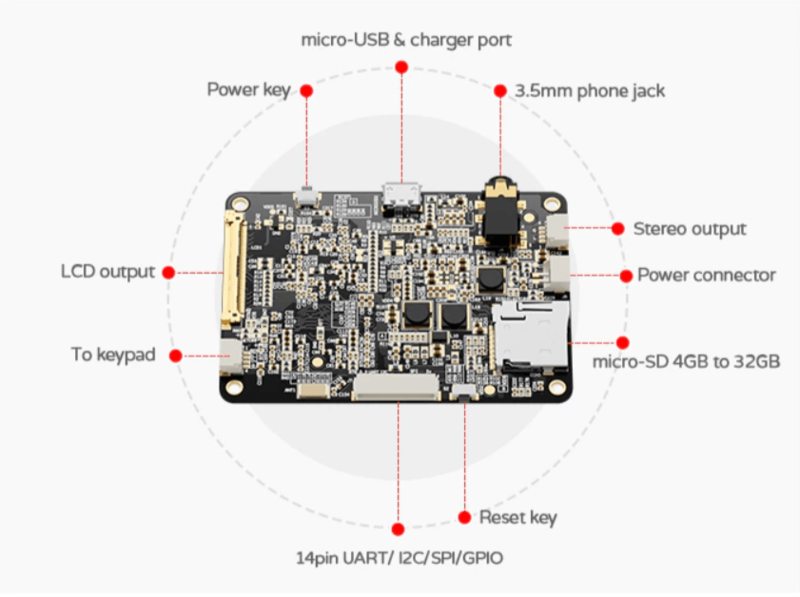 The board, which is often compared to the Raspberry Pi Model B2, comes with a Quad-core Cortex-A7 CPU and 1 GB DDR3 RAM. Apart from the heavy specs, there is Bluetooth, WiFi, Micro HDMI output and a 16 GB MicroSD card — all of which bolsters the gaming experience in GameShell. 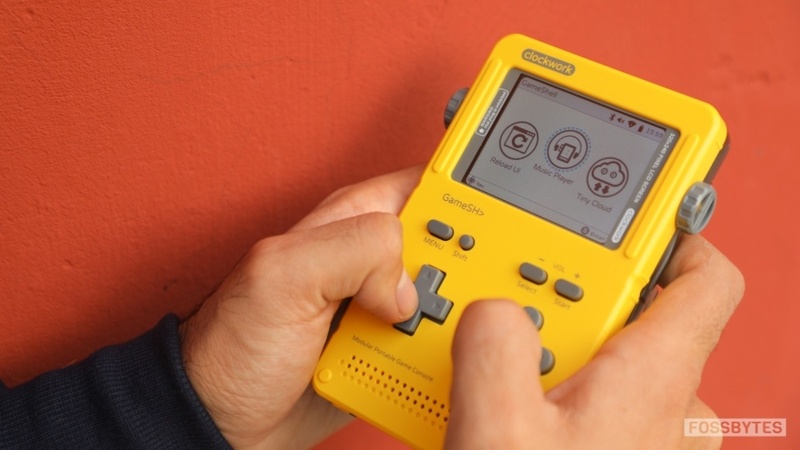 GameShell is indeed a superb handheld gaming console, but only when you can be patient with it. Even though it’s a gamer’s heaven, it is targeted at hard-core techies and developers. In other words, if you happen to be a user who just wants to play retro games — you will need a basic understanding of topics including Linux, command line and more. 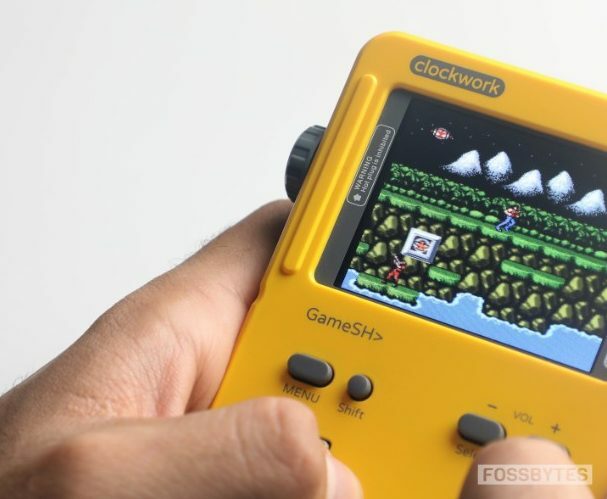 While GameShell has a manual for assembling the device, it lacks a quick guide on “how to install games” or “add new emulators.” Instead, GameShell forwards users to go to their massive Clockworkpi community. Since I know one or two things about all this, I was able to come up with solutions, but a lot of you might face a lot of difficulties. Essentially, GameShell requires remotely sharing files through WiFi since the SD card cannot be easily accessed once the device is assembled. 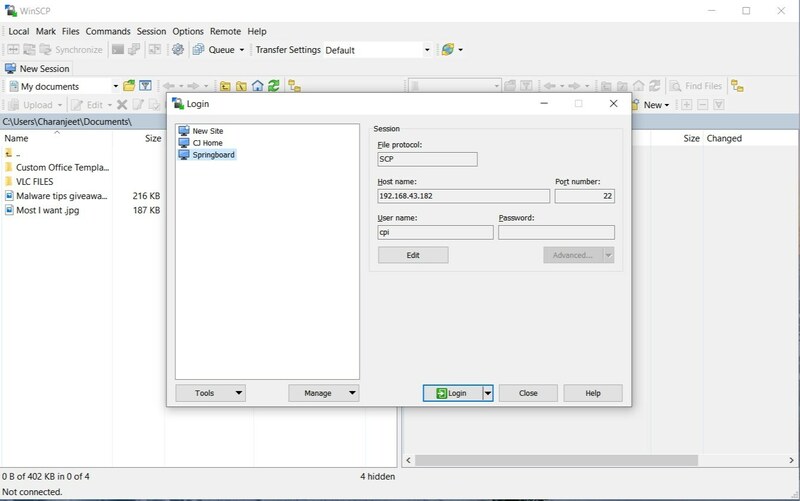 So, you will need an SCP/SFTP/FTP client on your PC to share files on the GameShell. As for me, WinSCP for Windows turned out to be pretty useful. 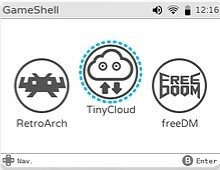 One can connect to the device via the GameShell IP address mentioned in “Tiny Cloud,” which is located in the GameShell launcher. Strangely, only the SCP file transfer protocol was working flawlessly in my case. 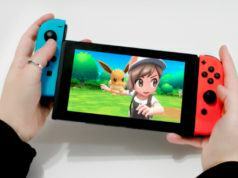 Once the device is connected, installing games is pretty simple. Download it from any emulator ROMS websites, and then move the downloaded file to the respective emulator folders. Installing emulators in GameShell, on the other hand, is a little bit tougher than this. But if you’re into the command line, it won’t be too big of a deal. A USB cable also comes along with the GameShell, but apart from charging the device, its purpose is still a mystery to me, considering my PC turned unresponsive after connecting it. Oh! I forgot about the battery. So the GameShell comes with a 1200 mAh rechargeable battery, which was pretty decent. There are different power modes on the console such as Balanced, Power Saving, and Performance. It took around 1-2 hours to charge the battery fully, so don’t expect any quick charging. Apart from this, there is a music player in GameShell as well. The music on GameShell sounds satisfactory because of the stereo speakers. However, the downside is that you will need to transfer music files and frankly, I am rather happy with Spotify on my smartphone. Presently, the GameShell Kit is priced at $159, and the student version sells for $139. Now keeping the price out of the way, the answer to your question is — It depends! 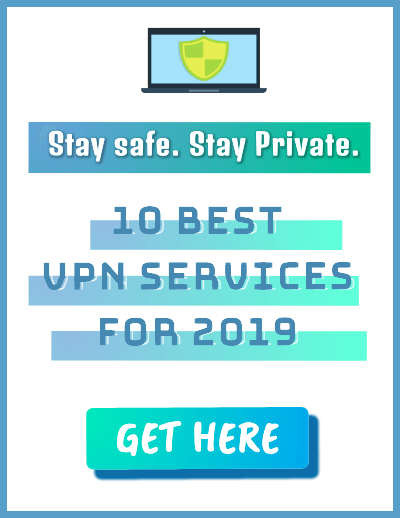 It depends because old-school consoles such as Sony PlayStation One and Sega Genesis are still available in a few places, even if the companies have stopped manufacturing them. And most of them come for a lesser price as well. As for emulating other consoles, your PC can do that with ease. With that being said, GameShell is still worth buying because it can do all of the above things, on the pocket-sized form — just the way I liked it on my GameBoy Advance. And the fact that tech-savvy users can develop games and play it on this portable device, makes it even more fabulous. 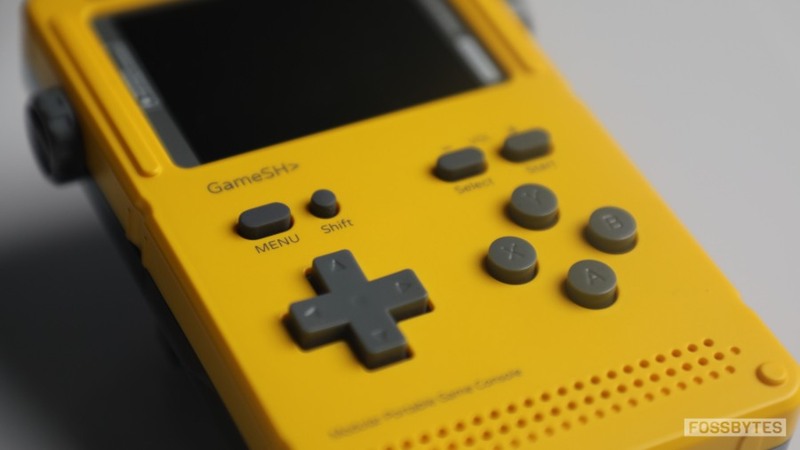 I hope you enjoyed reading my take on GameShell. Share your views in the comments below in case you found the device interesting.